Home » Will Future Olympic Surfing Sites Include Hossegor & Trestles? Will Future Olympic Surfing Sites Include Hossegor & Trestles? 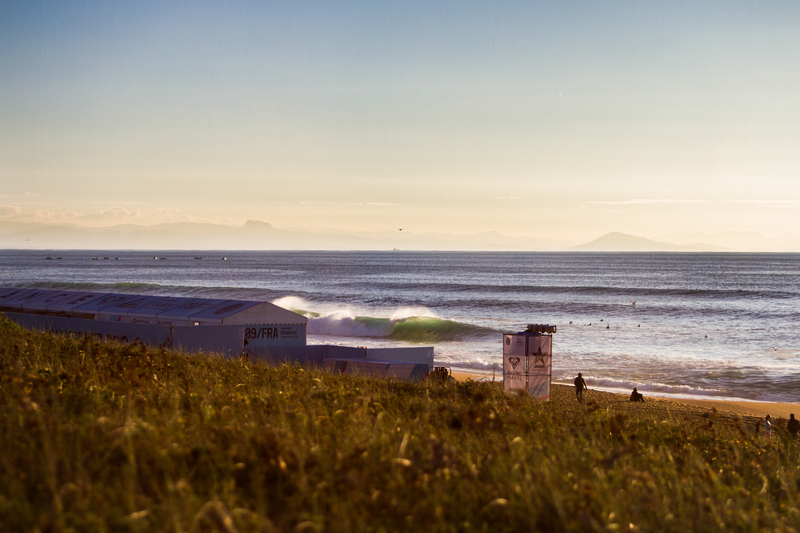 The Olympic venues for 2024 and 2028 have been announced, but where does surfing fit in? Earlier this week it was unofficially revealed that Paris and Los Angeles will host the Olympic games in 2024 and 2028 respectively. The announcement came after LA conceded its bid for the 2024 games to Paris, the only other candidate, and in return was awarded the hosting of the games in 2028. The news has raised several questions about surfing’s inclusion in the games after its upcoming showcase at the Tokyo Olympics 2020. In an article in our latest issue, we get the answers to all of our burning questions around surfing in the olympics from Nick Rees of Surfing England. While he was full of interesting info, it seems as though a lot of its still in limbo, particularly when it comes to the possibility of surfing’s inclusion after 2020. However, with this most recent announcement around locations, we’re presented with some interesting hypotheticals. For example, in contrast to Shiba, Japan’s contest location, which is almost guaranteed to, at best, a couple foot and fun for the summer waiting period, Paris and LA based Olympics would have the potential to hold the surfing comp at world class waves; namely Hossegor and Trestles. Due to its summer scheduling, even if held in Hossegor the Olympics would be unlikely to enjoy as optimal conditions as those that regularly feature at the Quik Pro. Photo Luke Gartside. However, France has already earmarked the coastal cities set to host the other marine sports; Marseille and Nice, neither of which boast any waves. This leaves two options, if surfing is to be included in 2024; option one is the addition of a new location (hopefully Biarritz,) down the line and option two is the construction of a wave pool as part of their Olympic infrastructure. To many, a wave pool seems like the logical venue for Olympic surfing. It’s widely excepted that the Olympics time and location constraints mean it won’t be able to rival the WSL in terms of wave quality, and so might as well set itself out as something different all together. The now iconic image of Kelly Slater getting kegged in his wave pool. Further to this, if the wave pool technology continues to progress at its current rate, there’ll be the option to build a pool with some really incredible (and varied) waves on offer by 2024. There’s rumours that the WSL may be holding a showcase event in Kelly’s pool as early as this Autumn, so we can also expect the wave pool competitive format to have been thoroughly tried and tested by 2024. What do you think? Would you like to see any future Olympic surfing take place in a wave pool? Or would you be happier if it wasn’t in at all? Let us know in the comments! Cover photo: An artist rendering of the surfing site for Tokyo 2020. Are wave pools about to change surfing in Britain for ever? Are wave pools the future of surfing competition?